From the shoreline to Forillon and from Gaspé to Coin-du-Banc, come and soak up the magnificent scenery at the tip of the Peninsula and relive the history of European explorers. 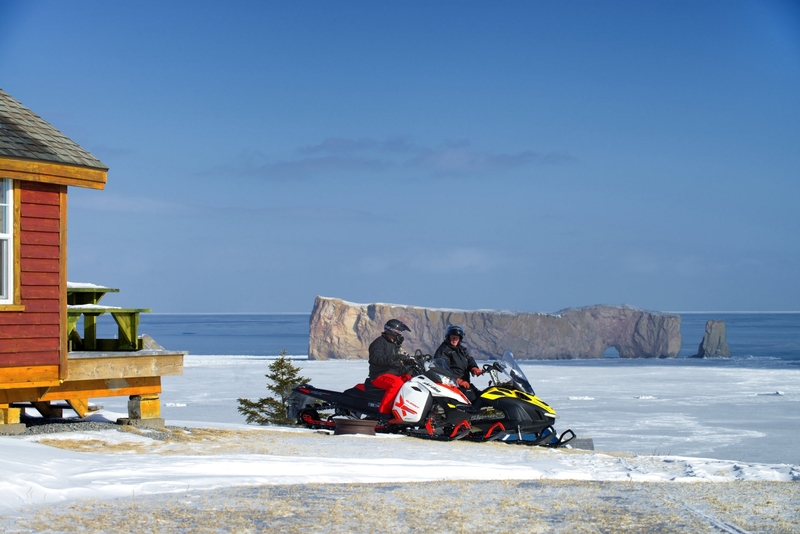 Admire legendary Percé Rock and enjoy the warm hospitality of the local villagers. This snowmobile ride will also take you across the huge bridge in Grande-Rivière as well as through La Bolduc country, the Banc-de-Pêche-de-Paspébiac Historic Site and the towns of New Richmond and Murdochville.